Home > Attorneys > Audley D. Hanna, Jr.
Audley Hanna, Jr. specialises in various areas of Civil and Commercial Litigation, with a particular focus on employment law, admiralty law, insurance law, intellectual property litigation, and personal injury litigation. Audley has significant experience as Counsel in The Supreme Court of the Commonwealth of The Bahamas. Audley holds a Bachelor of Arts (B.A.) degree from Fisk University in Psychology and English. He obtained his Bachelor of Laws (LL.B.) degree, with First-Class Honours, from the University of Buckingham in England. Thereafter, he completed the Legal Profession Course and obtained his Master of Law (LL.M.) degree from Northumbria University. Audley was called to the Bar of the Third Appellate District of the State of New York in 2008. He completed a Legal Education Certificate at the University of the West Indies and was called to the Bahamas Bar in 2010 becoming an Associate with Higgs & Johnson that same year. He was named a Senior Associate in 2017 and became a Partner in 2019. 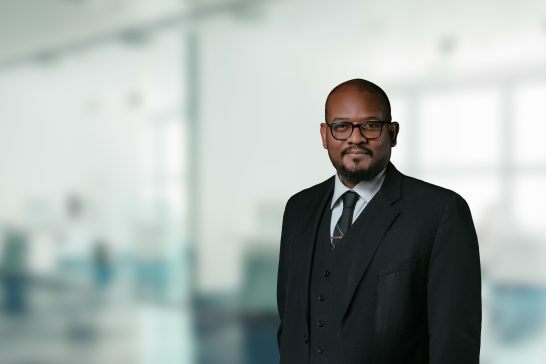 Audley is listed as a leading lawyer by Legal 500 Caribbean (2019) and has contributed to numerous publications including co-authoring the Bahamas Chapter in International Franchising (2016). Contributor to The Bahamas Chapter. International Franchising, 2016.